Dark chocolate is also packed with potent antioxidants and contains various essential nutrients which help you to stay healthy and beautiful. Is dark chocolate good for you? Besides healthcare, dark chocolate has several beauty benefits to offer too. 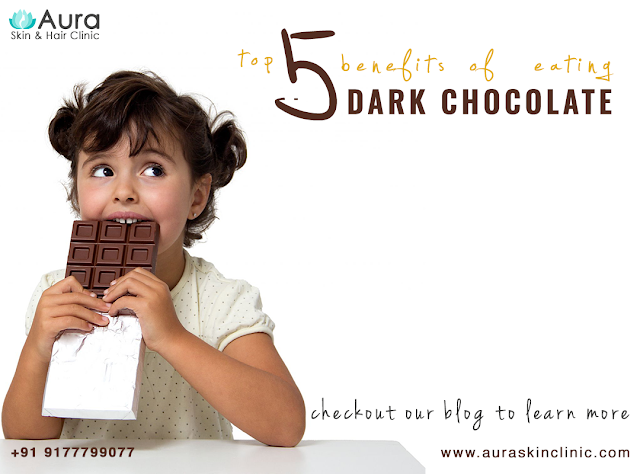 Dark chocolate boasts wonderful stress-relieving qualities and work wonders in getting you a glowing skin by reducing elevated stress hormones. 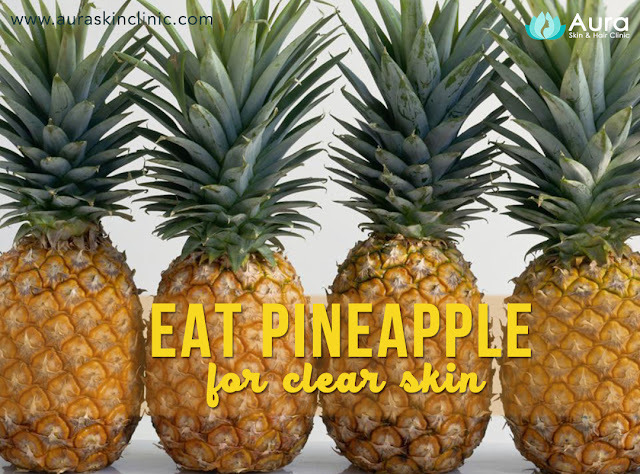 it shields your skin against detrimental UV rays and thus helps in Preventing conditions like sunburns and skin cancer. 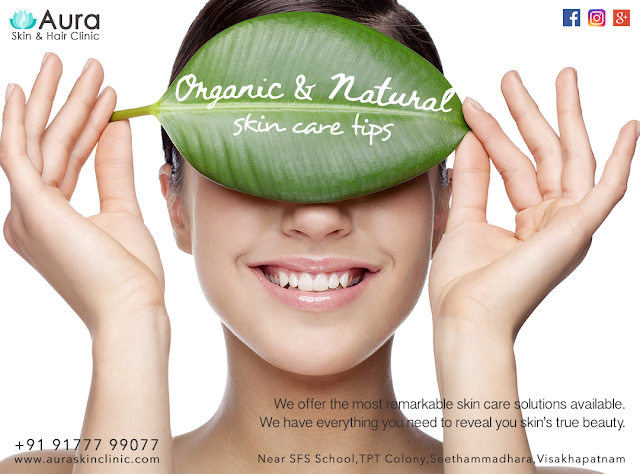 As Vizag city is turning cosmopolitan, frequency of cosmetic procedures have taken up. Laser hair removal is become one of the most common cosmetic procedures in India. 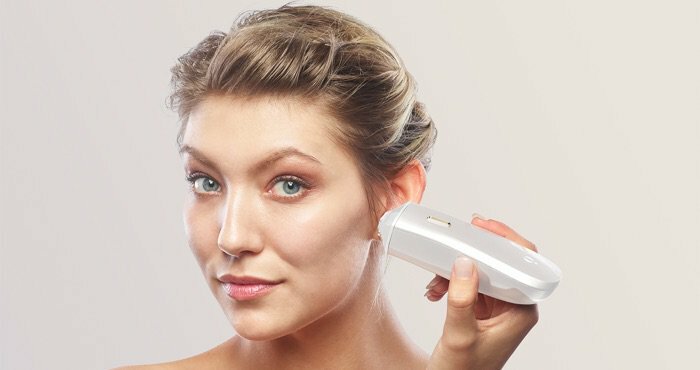 At Aura Skin Clinic we have advanced DIODE laser which is FDA approved and its always operated by a certified Dermatologist. 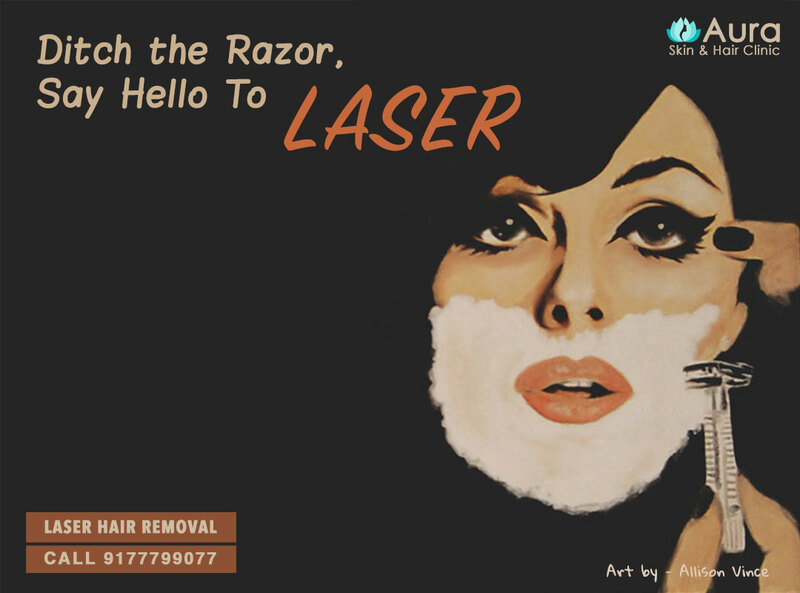 Frequently Asked Questions About Laser Hair Removal....? Avoid deep tanning (tanning beds, tanning creams), four to six weeks prior to the treatment. If you must go in the sun, use a sunscreen SPF 25 or greater. We require that all patients to wet shave 24 hours prior to the appointed time for the hair to stay in the hair follicle. Immediately after the treatment there may be redness and bumps at the treatment site, which will last up to two hours or longer. It is normal for the treated area to feel like sunburn for a few hours. 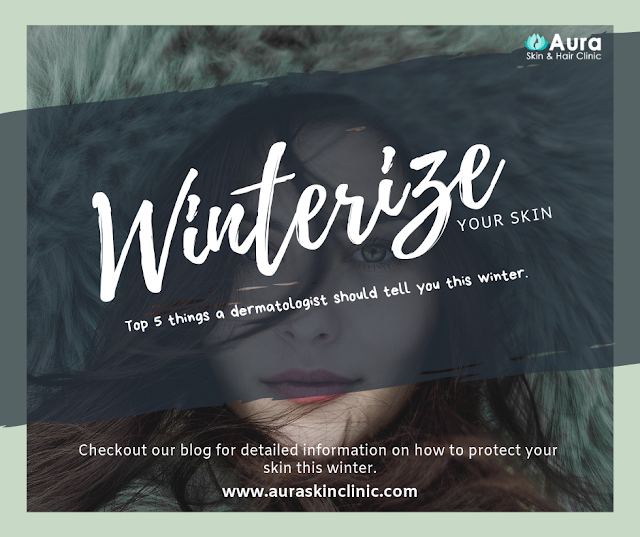 You may use a cold compress, aloe-vera gel, or 1-% hydrocortisone if needed. Makeup may be used after the treatment, just make sure that you have moisturizer on under your makeup. In fact moisturizer will help the dead hair exfoliate from the follicle so use moisturizer frequently and freely on the treated area. 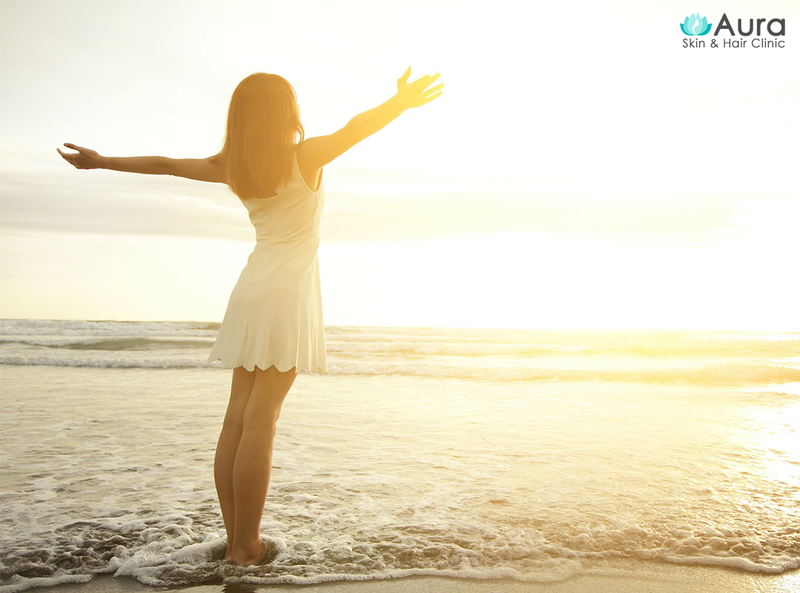 Avoid sun exposure for four to six weeks after the treatment to reduce the chance of dark and light spots. Use sunscreen SPF 25 or greater at all times throughout the course of the treatment. Do not use any other forms of hair removal methods or products on the treated area during the course of the laser treatment (tweezing, waxing and depilatories), as it will prevent you from achieving your best results. You may shave the area if needed. Anywhere from five to fourteen days after the treatment, shedding of the hair may occur and this may appear as new hair growth. This is not new hair growth, but dead hair pushing its way out of the follicle. It is important for you to let us know how long the redness has lasted after treatment when significant hair growth was noticed in the area. 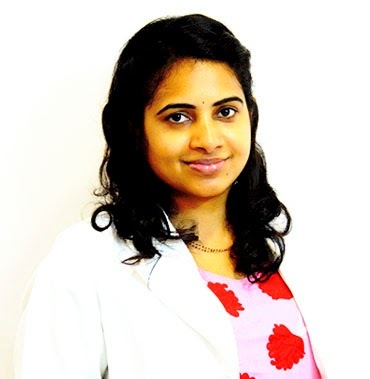 This information will help us to individualise treatment and achieve optimal results for you. Have you ever wondered if the sunscreen you are using is really working. find out detailed info on how to choose the right sunscreen for your skin. There are different types of sunscreens available in the market and its always a difficult choice to make…. What are properties of sunscreen? What are types of suncreens? So which sunscreen can I use? Your sunscreen should be able to take care of two types of UV light that is both UVA and UVB. Which is a broad spectrum sunscreen. There are two types of UV light that can harm your skin — UVA and UVB. A broad-spectrum, or full-spectrum, sunscreen is designed to protect you from both. Only broad-spectrum sunscreens with an SPF of 15 or higher can claim to reduce the risk of skin cancer or prevent early skin aging. What is SPF and how much SPF should I use? SPF stands for sun protection factor, which is a measure of how well the sunscreen deflects UVB rays. Theoretically, a sunscreen with SPF15 provides 94% protection from UVB radiation and SPF30 provides 97% protection.Also, keep in mind that sunscreen is often not applied thoroughly or thickly enough, and it might be washed off during swimming or sweating. As a result, even the best sunscreen might be less effective than the SPF number on the bottle would lead you to believe. Apply generous amounts of sunscreen to dry skin 30 minutes before you go outdoors. Use sunscreen on all skin surfaces that will be exposed to sun, such as your face, ears, hands, arms and lips. If you don't have much hair on your head, apply sunscreen to the top of your head or wear a hat. Reapply sunscreen every two hours — and immediately after swimming or heavy sweating. Remember that sand, water, snow and concrete reflect sunlight and make it even more important to use sunscreen. Consult our Dermatologist for more info on sun protection and how to take good care of your skin this summer.